Lynnea Hagen, San Jose, CA, USA | The Secretan Center, Inc.
Lynnea Hagen has been a coach and consultant for over 25 years. Her education includes degrees in Psychology, Sociology and Information Systems Management, plus a Masters degree in Organizational Development, She is a certified Dream Coach, a certified Higher Ground Leadership Pathfinder, and is Licensed and Certified in the One Page Business Plan. 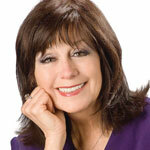 She is a certified Board of Directors facilitator and executive coach. She has taught workshops through San Jose State University, and run programs for Disney, Quaker State Oil, and Pacific Bell. Lynnea was creator and host of the “Abundance Leadership” worldwide radio program, is the co-author of the book, The Spirit of Silicon Valley—Journeys and Transformations Beyond Technology; and author of the forthcoming book, Success Stew—Chunks of Leadership Wisdom. She’s the owner The Abundance Company, providing coach-based consulting services, specializing in advanced leadership skills. Her clients are motivated organizational leaders who want to grow their businesses and grow themselves… to be more successful in business and life.